As soon as I stepped in through the door I thought wow, this is amazing. All the publishers you can imagine were crammed into this huge venue. It was packed with people but it didn’t feel overwhelming as I’d worried it would. We spent hours walking around and I still feel there were parts we missed completely. It was great to be there and feel the buzz, to see the meetings going on and imagine the deals being made. It was surreal but also uplifting to see the publishing industry going strong and to be able to feel a small part of it for a few hours was worth the very reasonable ticket price. There were publishers representing all kinds of books from the big blockbuster genres to the more obscure niche markets and poetry. The translation opportunities were mind-boggling and the area dedicated to children’s books was huge. I was surprised to find a few publishers willing to take unsolicited submissions and saw the many options open to people who want to self publish and have money to invest in it. Companies who will take on the whole project for you, while others focus on certain areas like editing, book design, printing and distribution. There was plenty for wannabe authors and self published authors. The dedicated Author HQ area had stands from Alliance of Independent Authors, Society of Authors, KDP, Writing Magazine etc. It was great to say hello to Sacha Black on ALLi’s stall. I’ve followed her blog for several years and have enjoyed seeing her indie author journey. The talks on the first day were very informative and well attended. I have plenty of notes on making a living from writing and focusing on my author brand to work through. Each day has some great talks lined up and I wish I could have attended them all. I went with a very supportive friend who on the spur of the moment started handing out my business cards to people! We’d seen others do it, so thought why not. I would say going to the London Book Fair was an experience more than anything else. I believe there were opportunities to book meetings with agents and perhaps if you’re lucky chat with publishers, but these are all set up in advance and I hadn’t been that organised about my visit. It was fun to immerse myself in the publishing world for the day and although it wasn’t life changing, I would certainly recommend it. I came home cold, after standing around on the train platform for half an hour due to a delayed train, and tired from all the walking and lugging around my bags, but also energised that I’d done it and filled with renewed hope for my future as an author. I have a lot to think about in terms of where I go from here. Should I focus all my energy on self publishing or start pitching to publishers and agents again, or continue as originally planned to be a hybrid author. I want to look into the ALLi and Society of Authors, which I’ve heard of before but after seeing the stalls and listening to the talks, I feel like both organisations could be worth my time and money joining. Next year I would love to go back to the London Book Fair. I think I will make it my mission to go every year, though I hope some warm spring weather is in attendance too. Did you go this year, or have you been in the past? Would you consider going to the London Book Fair in the future? Did your visit lead to anything worthwhile you’d like to share? I couple of months ago I asked for some advice on whether to publish the paperback of my newest book via Createspace or try out Amazon KDP. I got some great advice and many people were happy to have changed over to KDP. Here’s the link to my original post. I deliberated for some time, but decided to stick with Createspace as I knew the process and it was getting close to the book release date. I didn’t want any last minute problems messing everything up. Using Createspace was as simple as ever and I had soon uploaded the doc and cover files, checked on screen for errors and ordered my proof copy. The only gripe I have is the shipping costs. As usual, I left myself no time to mess about before the release date on 29th June 2018, so I had to use their priorty shipping. Over $20 later, I had my proof and read it through for typos and formatting errors. Once I was happy with it, it was just a matter of agreeing the proof and then it went live in a few hours! I quickly ordered a UK copy (free shipping as I’m a prime member) and double checked those last minute changes were ok before making the big announcement to the world that it was for sale. At the same time I did a test print with Lulu. It was cheaper as the postage was a lot less, but I felt the cover colours were inferior to Createspace and they did not support the font used for my chapter headers (reverting it automatically to times new roman). The overall quality of the book was better than I’d seen in the past. The quality of the paper was good and it felt more sturdy than the test copy I received from them last year for The Lost Sentinel. I weighed it all up and ordered 3 books from Lulu to keep as stock or give as gifts. Great, or so I thought until the books arrived a week later. There were 3 different books from 3 different authors in the package! I assumed somehow Lulu had sent me someone else’s order until I looked inside the book cover. It was The Sentinel’s Reign! I got straight onto Lulu who replied 2 days later (standard response time) they wanted photos to prove what had happened. I sent them over and they agreed to redo the order free of charge with express shipping. A week later and I’m still waiting for the order to be fulfilled, let alone delivered to me. All in all, I’m not too impressed with Lulu. Whilst waiting for the Lulu mess to be sorted last week, I ordered 10 books from Createspace as I really wanted to have some stock for the people who prefer to buy direct from me rather than online. I paid for the expedited shipping method, which they estimated would be about 2 weeks. They arrived within 5 days! And they are all perfect, though this picture doesn’t do them justice. I still want to trial the KDP paperback, but I’ve had such good service from Createspace and the covers are so tactile and beautiful I think I’ll stick with them for a bit longer. One last note on why I’m sticking with Createspace – the US paperback copies feel so much nicer than the UK paperbacks. I like that silicone feel they have, while I know others prefer the matt feel of the UK version. It is a small detail, but enough to convince me to stay where I am and pay that little bit extra for postage. What are your thoughts or experiences with Createspace, KDP and Lulu? In the next day or so I will be setting up the paperback version of my new book, The Sentinel’s Reign. It will be the third book I’ve published since 2015. The first two paperback went through Createspace, which I have found easy and straightforward but being in the UK I would prefer to be able to get a local proof copy and not wait on shipping time and have to pay so much for postage etc. It will also be cheaper to buy my own stock without having to add on overseas postage. I’ve heard good and bad about the KDP print books and I’m reluctant to take the plunge now. Is it worth it? Should I go for it and switch the other two books over too? I’m reaching out to those indie authors who have made the switch to ask what you think. Was it easy? Would you recommend it? Or perhaps, like me, you’re unsure or you’ve decided to stick with Createspace. I would love to know what other indie authors are doing about their print books and if you have any advice to share. I’m sure many people are having the same doubts and we can help each other. The first of my updates is on the appearance of my blog. I’ve finally been able to update the header with all three of my books. It’s a great feeling to see them altogether. The Cover Collection have done a wonderful job on all three covers and the banner. It’s officially 1 month before The Sentinel’s Reign is published – 29th June 2018, which is so exciting. I’ve just finished reading it through and have a couple of small changes to make before the ARC is ready to send out to reviewers. Please get in touch if you are interested. There are just a few hours left to enter the giveaway to win a signed paperback or ebook of The Lost Sentinel. Please follow the link and enter up to 7 times. Yesterday The Lost Sentinel received a brilliant review from Sofia – A Book. A Thought blog. She said; The world building is incredible, it’s my favorite aspect of the book and I think it’s the best achieved. The descriptions are exceptional, without doubts. Please click on the review link to see what else she had to say in her 4 star review. Finally as this is an update post, the latest on the Czech translation of Visions of Zarua is that it will be published in the Fall 2019! This is such an exciting time for me, and perhaps it will lead on to bigger and better things. I certainly hope so! A few weeks ago I re-read The Lost Sentinel (Book One in the Silent Sea Chronicles). I loved the experience of reading my own book in paperback, and I had the brilliant idea to use post-it notes to highlight things as I went along. These may have been facts I wanted to check in book 2, reminders for planning book 3 and the prequel, spelling or grammar niggles, places where the Astral Plane was mentioned etc. First decide why you are re-reading and what you want to get out of the experience. Don’t be scared! If, like me, your book has been read and reviewed you have those reviews to fall back on. Perhaps they have flagged up issues you need to address, or maybe you can just read them as a confidence boost. Have a notebook handy to jot down any facts that need to be checked, or issues to work through. Post-it notes are great as they allow you to mark a section you have an issue with and let you get on with reading without breaking the flow. BUT make a note of the point you’re highlighting! It saves time later on. Colour coding the post-its is a quick and easy shortcut. I went back and did this afterwards. I used different colours to represent book 2, 3 and the prequel. A different colour for the scenes that featured the Astral Plane, and finally any changes that needed working through were transcribed into my notebook to work through later. Be prepared to love and hate your own writing. I had ups and downs re-reading The Lost Sentinel. When I was feeling down, I looked back over those reviews on Amazon and Goodreads. It’s always good to be reminded that others have enjoyed the book and loved your characters. Don’t forget to celebrate your achievement. Publishing a book is amazing. Enjoy holding it, reading it and savour the whole experience. Once the re-read is done you have to decide what changes are really necessary. Then you’ll need to update the e-book and paperback files before re-submitting them to your chosen platforms, in my case Amazon and Createspace. Finally, double-check everything you’ve changed is correct once it has been published. It’s worth taking your time and making sure the book is the best you can make it. Then hopefully future re-reads won’t result in more changes. I will probably go through the above process when I’ve finished writing book 3, and for any future books in the Silent Sea Chronicles. Hopefully next time around it will go more smoothly. And I hope you can take something helpful from this as well. Have you any tips to share when re-reading your published work? Silent Sea Chronicles is a heroic fantasy series set on the magical island of Kalaya. Book 1 – The Lost Sentinel is available now at Amazon. Book 2 – The Sentinel’s Reign will soon be sent off to my second wave of Beta readers. And then after a final edit and proof read, I will hopefully be ready to publish by May. Closer to the date I will have a cover reveal – I can’t wait to share the amazing cover with you. Thanks for reading. I hope you will continue you follow my journey as an indie author. Last year (that sounds so weird) ended on a high for me. The Lost Sentinel was on Brizzlelass’ 10 top reads of 2017 and I also received a lovely email from a reader who said she really enjoyed the book. But 2017 has been a year of ups and downs on the writing and blogging front. 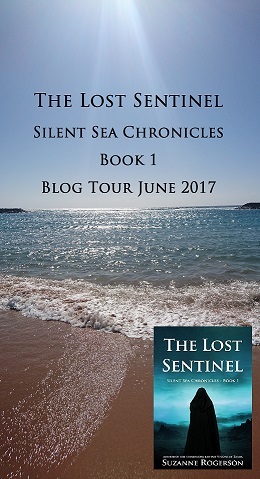 I published my second book, The Lost Sentinel – Silent Sea Chronicles bk 1, I finished the draft of book 2, which I’m editing and preparing to send to beta readers asap, and I started the draft of book 3 during Nanowrimo. But I’m far behind on the publishing schedule I set myself and I’ve let my blogging slip to near non-existent. So with this in mind I’ve done some thinking about what I want to achieve in 2018. Look at another WIP that has been waiting for an end for several years and decide if this is the book that I want to submit to agents. Tidy up the blog and create a new banner and a landing page. Blog more often with more focus on books and writing. Have more guest posts and get involved in more blog tours. I plan to have a healthier diet and start walking more. So I know I’m still asking a lot of myself in 2018, but with a more positive attitude and focus on what I want to achieve, I’m hopeful that I can do this. Happy 2nd Birthday to Visions of Zarua my debut #standalone #epicfantasy – It’s #giveaway time! It has been two years since I published my first book, Visions of Zarua. This time two years ago I was buzzing with fear and excitement, and still in shock that I had actually released my baby into the world. Now, with two books published and a third planned for next year, I feel more confidant as a self published author. 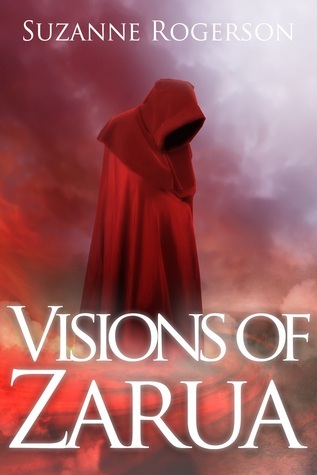 Goodreads: Visions of Zarua has an average rating of 4.32 stars with 28 ratings and 16 reviews. It’s currently on the bookshelves of over 1520 people. Amazon UK has 19 reviews and an average of 4.5 star rating. Amazon US is a bit behind with 12 reviews and a 4.3 star ratings. And now here’s the link to enter my Goodreads giveaway. It’s open worldwide, so why not have a go. Giveaway ends November 24, 2017. I’m also giving away an Ebook on my blog! All you have to do is comment on this post and I’ll pick a random winner on 24th November, the same day the paperback giveaway ends. If you’ve already read it, you can still comment and nominate a friend to receive an early Christmas present! I’d love you to retweet and share this post with as many people as possible too, but it’s not a requirement for entry. And if you have read Visions and would like to leave a review, I would love to read your thoughts. I’m still hoping to break the 20 review barrier by Christmas, so it would be great if you could help me out.